Nelly Guinand was born on March 5th 1991 in Venezuela. Her Education in the arts began in Paris, France at The École supérieure des arts et techniques de la mode (ESMOD). In 2015, she moved to the US and began at The Fashion Institute of Technology in New York City where she graduated in Fashion Design. Her works in the runway began alongside her mentor Angel Sanchez, the renowned Venezuelan fashion designer, who opened the doors to his Spring/Summer 2014 by inviting Nelly to design his accessories. Nelly, who was an intern at the moment explored her love for accessories and decided to pursue her path in the field. For several seasons, the duo collaborated in various successful project exploring sculptural shapes and industrial materials. In 2015, she joined the embroidery house "Finesse" and designed various embellishments for famous brands such as Carolina Herrera, Oscar de la Renta and Tom Ford. Recently, Nelly rejoined Angel Sanchez in New York City and and keeps pursuing fashion collaborations with other brands. 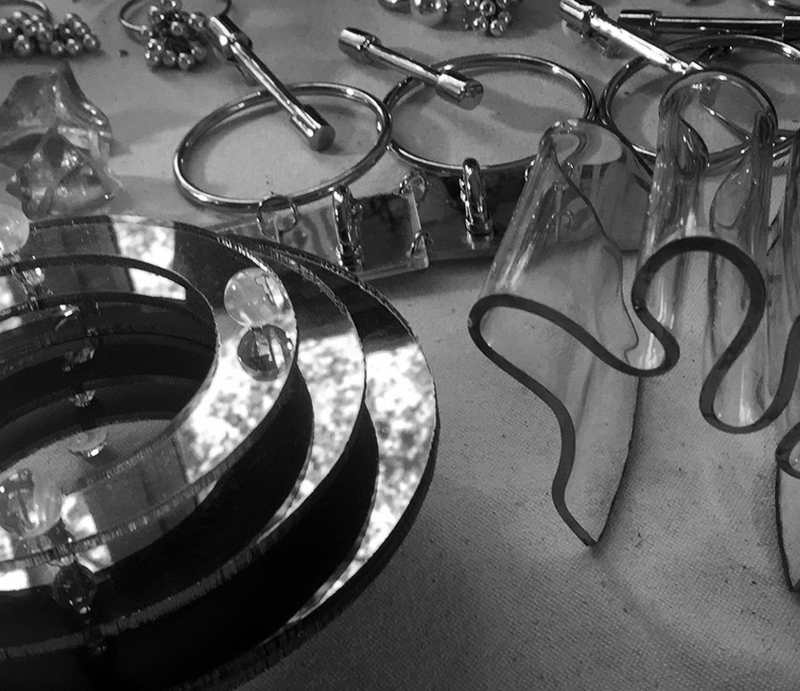 All pieces are uniquely crafted and custom designed for our clients in New York City.